Pregnancy and babies… so much to learn, so much to explore. 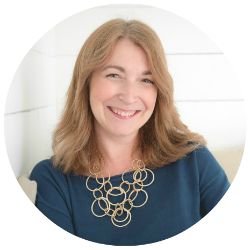 As an early childhood professional for over 20 years and a mom of two girls, I’ve had plenty of experience with baby care. This baby care library assortment of articles that have graced the pages of The Deliberate Mom. Find everything from tips for infant care, pregnancy “survival”, and there are even a few things for the dads out there! 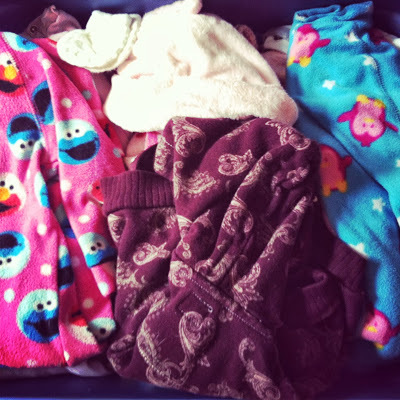 Stop the Change Table Battles… Once and for All! How to deal with a child who resists diaper changes. Tips and tricks to use with your baby or toddler. 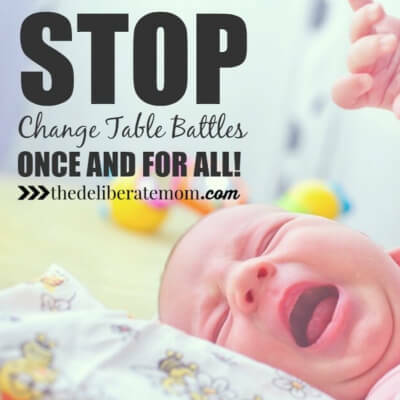 It’s time to “win” at these change table battles! 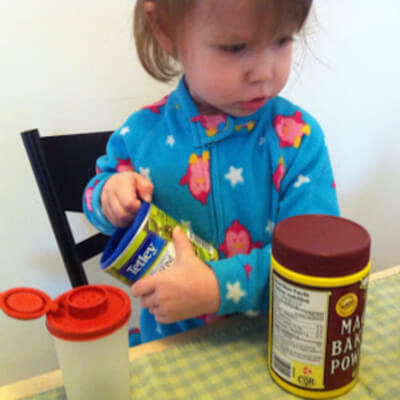 There are so many ideas to keep infants and toddlers busy! 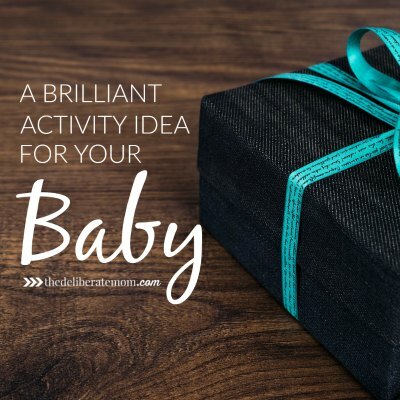 Check out this brilliant and inexpensive activity idea to do with your baby today! Being a mom can be emotional. This occasion was one of those weepy mommy moments. Maybe you’ve experienced this too? This activity for babies and toddlers is really easy to set up and it will keep your little ones busy for hours! This was a fabulous handmade gift idea! I sewed this handmade baby set! 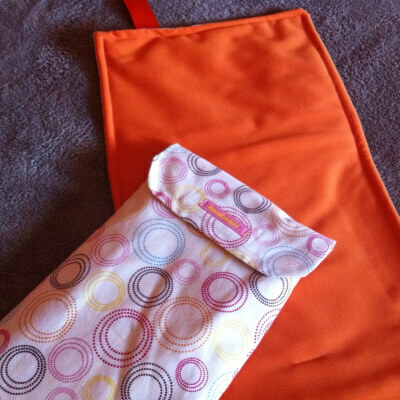 Change pad, diaper holder, bib, and blanket! It was simple and beautiful! When we’re preparing for baby, we may have no idea what would be helpful or good to purchase. 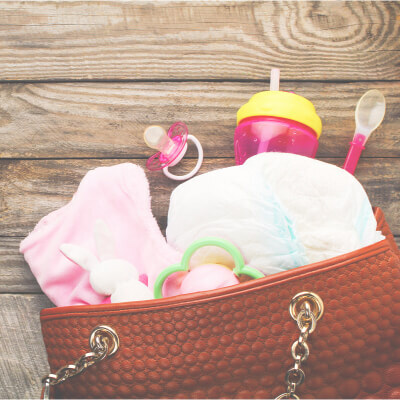 Here’s a list of the best baby items every family should have. Parenting is a tough gig but here are my 12 fabulous tips for new parents. Some of these you may have heard of but others may be completely new to you! Heuristic play is very beneficial for little ones. 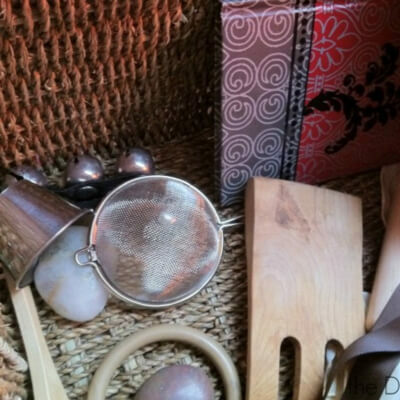 This post explains heuristic play and shows you how to assemble a treasure basket for your infant. So You Think You Know Everything About Poop? Since we started feeding my baby solids, she’s been constipated. A lot of poop talk has evolved as a result. Here’s some revelations I’ve had about poop. 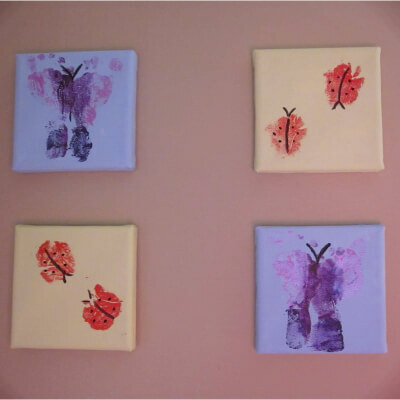 A beautiful and simple DIY nursery art project. It’s decor and a keepsake!